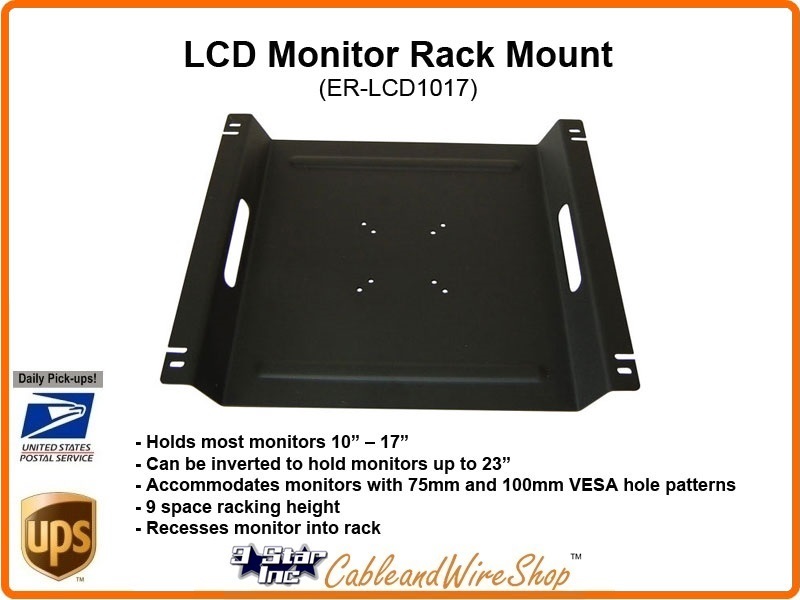 The ELCD1017 can hold most 10" to 17" flat panels on an equipment rack. It can also accommodate up to a 23" monitor by inverting the mount on the rack. The ELCD1017 has a static resistant powder coat finish and includes two types of rack screws. - Holds most monitors 10" 17"
- Can be inverted to hold monitors up to 23"